Should You Escrow Property Taxes and Insurance? Buying a home means making lots of decisions and one of them centers on how you’ll pay your homeowners insurance and property taxes each year. Depending on the kind of mortgage loan you’re pursuing and the lender’s rules, you may have the option of paying these costs out of pocket or rolling that money into an escrow account. There are pros and cons to doing it either way. An escrow account (or an impound account), is a special account that holds the money owed for expenses like insurance premiums and property taxes. If you’re buying a home, your lender might collect a certain amount of money and deposit it into your escrow account during the closing process. The actual dollar amount that goes into an escrow account is based on what insurance premiums and taxes average out to on a monthly basis. You may have to pay up to six months’ worth of property taxes and maybe even a year’s worth of insurance up front. Escrow accounts are set up to collect property tax and homeowners insurance payments each month. When your insurance or property tax bill comes due, the lender uses the escrow funds to pay them. That way, you don’t have to keep up with the payment deadlines and you’re not forced to shell out hundreds or thousands of dollars all at once to cover your taxes or keep your insurance current. Convenience is arguably the best thing about using an escrow account. Having just one single payment to worry about each month means you don’t have to write multiple checks or chase down receipts for payments. If you live in a community that has a homeowner’s association, you can add these fees into the escrow account to streamline your monthly budget even further. Lenders sometimes offer buyers an incentive for setting up escrow accounts – incentives such as lower interest rates. In the long run, that can make a significant difference in the cost of buying a home. If you’re already getting a good deal on your mortgage rate, forgoing escrow may be a good idea. 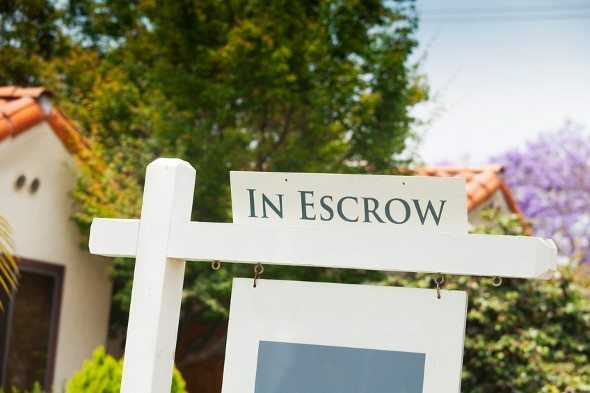 While some lenders are legally obligated to pay homeowners interest on the money in their escrow accounts, that’s not always the case. By investing the money you’d normally be putting in escrow into a CD, money market account or even a regular savings account, you could earn a bit of a return on your cash in the process. Avoiding escrow could also be a good move if you want to be sure that your mortgage payments are the same from month to month. If you have an escrow account and your property tax bill or your insurance premiums suddenly jump, you might not be aware of the change until the end of the year. Generally, an escrow account is a prerequisite if you’re not putting at least 20% down on a home. So unless you’re bringing a sizable chunk of cash to the closing table, escrow may be unavoidable. FHA loans, for example, always require buyers to set up escrow accounts. Fortunately, you may be able to get rid of your escrow account down the line. Just be prepared to show proof that you’ve made on-time payments each month and built enough equity in your home. Otherwise, the lender may not agree to let you off the escrow hook.